The research, detailed in an article to be published in the Astrophysical Journal, outlines 216 Kepler planets located within the "habitable zone"—the area around a star in which a planet's surface could hold liquid water. Of those, they list 20 that are the best candidates to be habitable rocky planets like Earth. The research also confirms that the distribution of Kepler planets within the habitable zone is the same as the distribution of those outside of it—additional evidence that the universe is teeming with planets and moons where life could potentially exist. The 20 planets in the most restrictive category—rocky surface and a conservative habitable zone—are the most likely to be similar to Earth. Kane has already begun gathering additional data on these planets, as well as those in the other categories. Kane is one of the world's leading "planet-hunters," having discovered several hundred exoplanets, including Kepler-186f, a rocky planet included in the new catalog. He is contributing his scientific knowledge to two upcoming satellite missions - NASA's Transiting Exoplanet Survey Satellite (TESS) and the European Space Agency's Characterizing ExOPLanet Satellite (CHEOPS)—that will benefit from the information contained in his latest research. From what I recall of the Kepler mission, it used the transit method to detect the planets. Given that these particular planets will have short orbital periods, then it is not beyond the realms of possibility that current or near future instruments could get decent spectroscopic data from the planetary atmospheres, as they transit on a regular basis. If you want, perhaps you can pose the same questions to one of the authors? WOW! already got an answer! Thanks for emailing me, and I'm glad to help out! This is going to be a long answer, because planetary atmospheres are very complicated to measure. Your friend is partially correct, in that there does exist the potential for spectroscopic measurements of the atmospheres of some of HZ exoplanets catalogued by that paper. Many system parameters contribute to the overall probability of measuring an atmosphere. For the case of all HZ planets reported there, you would measure the atmosphere using transmission spectroscopy, which observes the starlight as it passes through the planetary atmosphere. The other technique for measuring the atmosphere, emission spectroscopy, only works if your planet it hot enough for us to detect the thermal emission from the planet compared to the star. A planet hot enough for that would definitely not be in the HZ, so we wouldn't use it for these HZ planets. For transmission spectroscopy, detection of the atmosphere is dependent on how extended the atmosphere is above the planetary surface, and how dense that atmosphere is. A more extended atmosphere will leave a larger signature (exactly like a larger planet will leave a larger transit signature), and a dense atmosphere will leave more of a signature in the starlight. -planet temperature: we've already negated the effects of this parameter by pre-selecting only HZ planets. Generally, a hotter atmosphere will be more extended (puffier), but with all planets in approximately the same temperature range (HZ) this makes little difference to this sample of planets. - planet size or mass: a larger planet is more massive, which means that it will likely have enough mass to attract an atmosphere while forming. But the more massive a planet, the tighter it holds to its atmosphere, so the atmosphere is less extended and harder to detect. But also, that would make the atmosphere more dense, which make the signature stronger. There's a delicate balance there, and a narrow range of planet sizes/masses that work with current technology. Overall, if the planet is a gaseous giant planet, there's enough atmosphere that this makes no difference, and we would be able to detect the atmosphere. The range of usable planet sizes gets narrower with rocky planets. - orbital period: orbital period has a different impact than expected when we've already pre-selected HZ planets. Good: shorter orbital period lets us repeat measurements more easily and bump up the signal-to-noise. Also, short orbital period in the HZ by definition means orbiting a low-mass, low-temperature star, which would make the transit and atmospheric signature larger because the star is smaller. Bad: orbiting close to a low-mass, low-temperature stars makes atmospheres more susceptible to stellar flares and harmful UV radiation that might destroy detectable molecules in the atmosphere. Also, low-mass stars are sometimes cool enough to have their own molecules in their atmosphere, some of which are very hard for us to predict and identify in their spectra. If we're looking for precise atmospheric measurements of the planet's atmosphere, we need a stellar spectrum which we know very well, which is difficult for low-mass stars. Again, orbital period can both help and hinder atmospheric measurements. I hope this helps! Again, sorry about the length, but atmospheres are such a new field and really at the limits of our current technology that the combination of parameters that we can detect is very limited. now that is what i call great feedback! And I'm sure there are other criteria I've left out. CS, my personal thanks to you for your successful efforts to add something to the science being described. So many of these threads degenerate into flame wars (or whatever you call them), that I find it discouraging to even mention a possible alternative or nuance when folks are calling each other morons or the like. Regarding the content of the message and looking at all the confounding factors, I have to wonder if Kim Cartier believes this will eventually drive us towards large direct imaging space telescopes. For example, the High Definition Space Telescope (HDST) is getting a lot of mentions recently, but it will be anything but cheap. Thanks for that. Very interesting. Kind of confirms what I thought; it won't be easy, but not impossible. And there are people who are working on it. Good news. A nice little break from the mad Io thread that has been occupying my time! 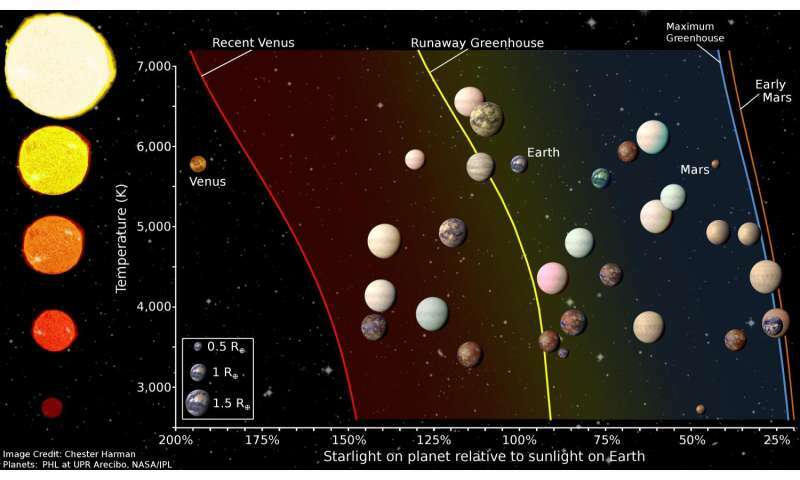 It is very interesting to see the habitable planets even if Kepler candidates are too far away to be easy (or at all) to follow up. Kepler was a medium range survey so planets are mostly 1 - 3 kyrs away. TESS will go up and survey all the closer planets that can be seen in transit, to locate the ones where observatories can detect life soon. The paper is a bit tedious since they list the old type of candidates. They then complement with the false positive probability (FPP) that now sorts all Kepler pipeline planets. So some of the 20 have too large (> 5 %) FPP to be planets. 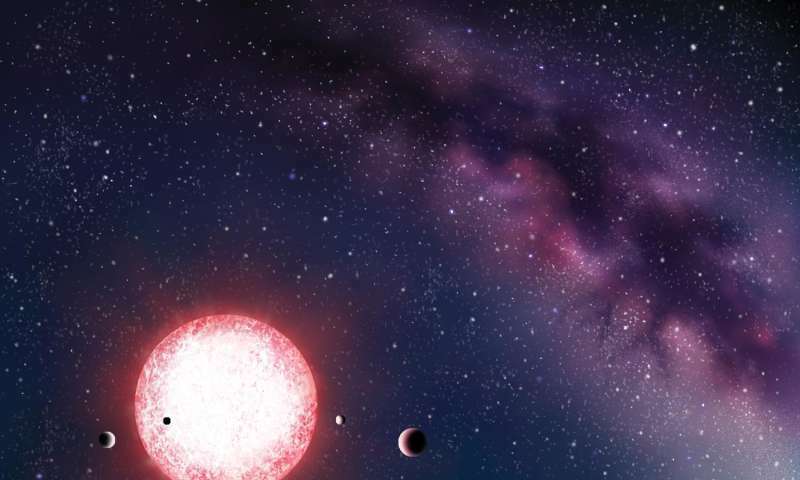 Good news, 3 planets are assuredly small enough to not be gas planets, and likely some more isn't. That adds to the 2 earlier, closer in assured habitables that was found by ground based observatories (HARP, IIRC). Thanks for an informative thread, people! The current habitability filtering is based on 1) by looking for small, non-gas giant planets and 2) looking for planets within the surface habitable zone (sHZ). Arguably "our type of life" could be found in ice moons, but we have only our own system to assess that. As we move forward, the filter will become better, but the planet list is a start for doing those very observations. The other factors you list are arguable, so while I wouldn't say it is too early to speculate, it isn't very helpful without quantification. Some are on that, and those are interesting preparations when looking for biosigns. Nitpick: Your criteria 6) and 7) are (obviously, for 7)) wrong. Errata: "(HARP, IIRC)" - HARPS. If a planet doesn't have a big moon or orbit a larger planet, it's axis will wobble greatly and cause very rapid and dramatic climate change. While that probably won't affect single cell life that much it will pretty much doom complex lifeforms. If a planet is too close to a supernova, the radiation from the supernova could sterilize the planet. This is especially true if the planet is looking down the 'bore' of a GRB. Not really sure how any of the above is wrong or even controversial. 566 Exoplanet solar systems with orbital resonances and K2 todate. If a planet doesn't have a big moon or orbit a larger planet, it's axis will wobble greatly and cause very rapid and dramatic climate change. No, it won't. A few years ago, the scientists discovered an error in the algorithms that were used to predict that. So a body like Mars for example may have 0.5 Gyrs between large tilts that change climate, which is enough time to evolve land animals, say. the radiation from the supernova could sterilize the planet. Future possibilities has nothing to do with studying current habitability..